New York duo We Are Scientists head to the Arts Club later this year, as Getintothis Craig MacDonald discovers. This autumn, New York based indie rock due We Are Scientists hit up the Arts Club on October 19 as part of an extensive UK tour, which will see Chris Cain and Keith Murray play 24 dates up and down the length and breadth of the land in support of their latest album, Helter Seltzer. The group played to sell out crowds earlier in the year and with over a decade gone past since their now cult debut With Love and Squalor was released, they can still write some of the most dynamic rock anthems out there, as demonstrated on their latest single In My Head, while continuing to develop their craft. After some new music? Check out our Album Club. With the release of their fifth album in April, We Are Scientist continue to prove they are one of few groups that can consistently create buoyant songs through a musical rainbow of styles. Couple that with their relentless energy and you have a real treat to look forward to as the nights draw in. 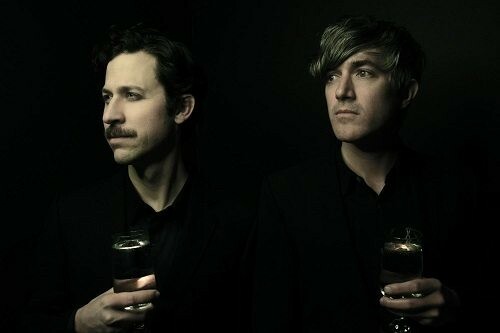 We Are Scientists play the Arts Club on Wednesday, October 19, doors open at 7pm.